This home has the best of both worlds with the privacy of 2+ acres surrounded by country side and just a few minutes from River Park youre nestled in prime Fresno location. You're greeted with a beautiful open floor plan with an updated kitchen with ample counter space graced with granite complimented with new cabinets, black appliances and walk-in pantry. 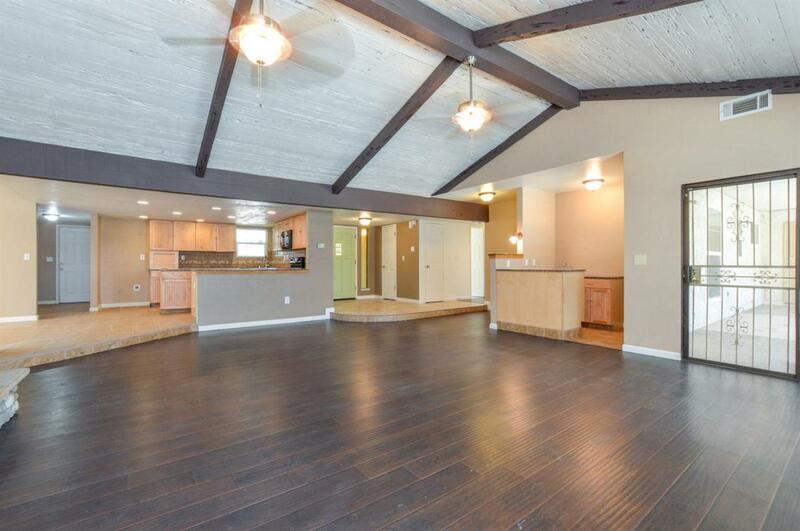 The living room is bright with natural light, vaulted ceilings, cozy fire place and wet bar. Your master suit has easy access to the backyard where you can take a dip in the pool to escape the valley heat. There's plenty of room to grow and this home is made for family and entertaining. In past occupants have had horses. Many new homes build around and sell for $1 Mill plus. Contact your agent today to schedule your private showing.